© Mehman Huseynov. All Rights Reserved. Azerbaijan is a former Soviet republic which has been ruled by the Aliyev family since shortly after its independence in 1991. Former Communist Party official Haydar Aliyev came into power in 1993 and was succeeded after his death by his son, Ilham Aliyev, who has further consolidated his power through numerous Constitutional amendments. One of those amendments gave him the power to appoint his wife as First Vice President in February 2017. Although Azerbaijan has the structure of a representative government, President Aliyev and his family in practice rule over an authoritarian regime with a rubber-stamp parliament, a poor human rights record, and massive state corruption. 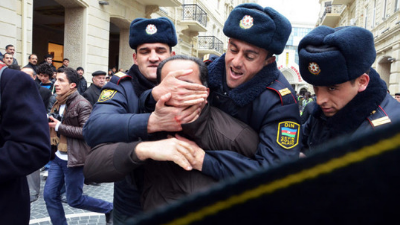 Freedom House has ranked Azerbaijan ‘not free’ every year since 2004 due to the heavy restrictions on political rights and civil liberties in the country. Not only have the Aliyev family denied the people of Azerbaijan fundamental freedoms, but they have also laundered vast sums of money stolen from the country, and exploited their power to increase their personal wealth. In addition to its rampant corruption and pervasive nepotism, the government has also restricted the work of all independent civil society organizations (CSOs), as well as imprisoned critics, human rights activists, journalists, and religious leaders to silence all opposition. Activists working to strengthen government accountability, promote human rights, or address corruption have become some of the most suppressed and persecuted groups in the country, living under the constant threat of arbitrary arrest, imprisonment, or violence. For the past decade, authorities have prosecuted hundreds of activists, journalists, and public figures on politically motivated charges, such as drug possession, tax evasion, illegal entrepreneurship, and even treason. Similarly, bank accounts associated with CSOs and their leaders have been frozen, and some of civil society activists face travel bans. Local human rights defenders report that there are currently more than 120 political prisoners in the country. Despite the regime’s incessant suppression of civic space, a number of democracy advocates (especially youth activists) have leveraged social media to disseminate their political messages and mobilize public demonstrations. In several occasions – such as the 2012 Eurovision Song Contest in Baku – human rights activists used social media to call for the right to freedom of expression and assembly. In 2013, pro-democracy youth groups organized mass peaceful protests to address poor military conditions in the country. Activists also disrupted the first-ever European Games held in Baku in 2015 by flooding the event’s Twitter with messages highlighting the poor human rights conditions in Azerbaijan and capturing international attention. The government had intended to use the popular sporting event as a platform to boost its image and market itself as prosperous multicultural state to the rest of the world. Authorities typically respond to peaceful protests, including sanctioned demonstrations, with excessive police force. The government also employs state-run “troll” bots to intimidate critics on social platforms. Despite organizers’ best efforts to abide by the state’s protocol for demonstrations, authorities still harass and prosecute protesters and their families for their participation both online and offline. In a new video series, we speak with the families and friends of five political prisoners to learn more about their cases and impunity in Azerbaijan. Hear the stories of Fuad and Seymur below and listen to more here. 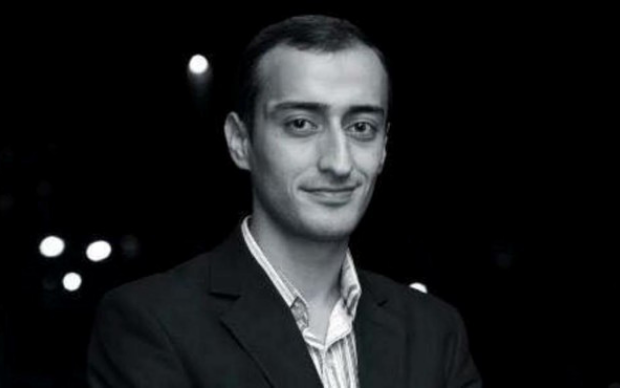 Meet Fuad Ahmadli—a leader of the Youth Committee of Azerbaijan Popular Front Party. Fuad was arrested shortly after organizing a peaceful opposition demonstration and was sentenced to four years. For Fuad’s family, the voice of the international community is the most powerful tool for freeing their son. Listen to their message and share his story with your networks. 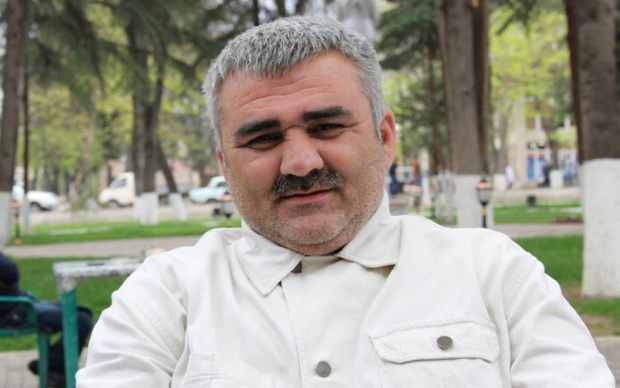 Meet Seymur Hazi— a journalist and senior politician in Azerbaijan. Seymur was sentenced to five years on charges of “hooliganism” after being attacked while waiting for the bus. We spoke with Seymur’s wife and father to learn more about his story and to hear how his imprisonment has impacted their lives. Stand in solidarity with Seymur by sharing his story. 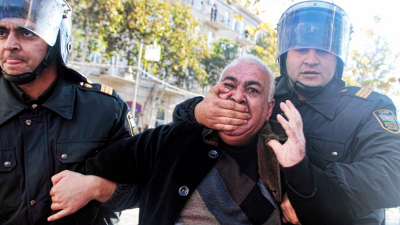 While some international leaders have spoken out about the deterioration of human rights in Azerbaijan, few formal actions have followed to hold the repressive government accountable. 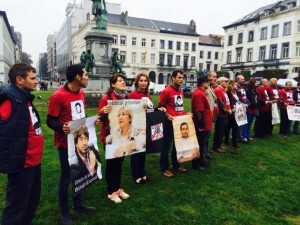 Since the intensified crackdown on dissent in 2013, international institutions – such as the European Parliament, the Council of Europe, and the Organization for Security and Co-operation in Europe – have adopted several resolutions calling for the release of political prisoners in the country. In early 2017, Open Government Partnership (OGP) and Extractive Industries Transparency Initiative (EITI) suspended Azerbaijan’s membership due to its restrictive environment for CSOs. 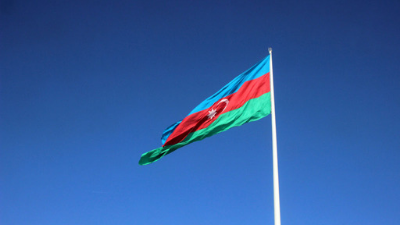 In September of 2018, the UN Human Rights Council’s Periodic Review once again raised human rights concerns with the government of Azerbaijan. Though the government accepted recommendations for human rights education, equality measures, free speech and free association, it “regulated for further study” recommendations for eliminating discrimination, libel reform measures, and the financing and regulation of NGOs. Finally, the government rejected measures aimed at eliminating politically motivated arrests. The United States (US) State Department has issued a number of statements calling upon the government of Azerbaijan to properly investigate the unlawful arrests and to free those who have been imprisoned for exercising their political and civil rights. A few resolutions and bills have been introduced in the US Congress and Senate – including a bill titled “Azerbaijan Democracy Act” and H.Res.537 sponsored by Rep. Chris Smith, as well as an amendment by Sen. Richard Durbin to the State Department and Foreign Operations Appropriations Bill. Both called for targeted sanctions on Azerbaijani officials who have been involved in human rights violations. As of October 2018, no further action on the legislation had been taken. Afgan Mukhtarli is a well-known investigative journalist and political activist based in Tbilisi, Georgia, where he had been living in exile to avoid persecution in Azerbaijan. On May 29, 2017, he was kidnapped in Tbilisi and forcefully taken to Baku where he was put in prison. He was sentenced to six years in prison on fabricated charges of smuggling, illegal border crossing, as well as violently resisting a law enforcement official in January 2018. 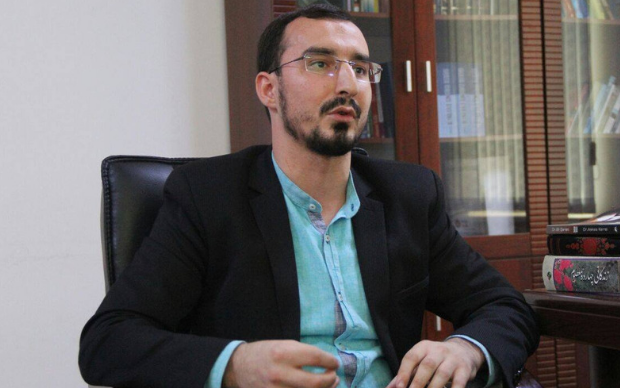 Fuad Ahmadli is the head of Youth Committee of Azerbaijan Popular Front Party Khatai District Branch. Shortly after he helped organize an opposition demonstration, he was arrested. He was charged with “abuse of power” and “conducting unauthorized operative-search” and sentenced to four years in prison on June 16, 2017. While imprisoned, his family has faced sustained harassment by the government.